August 2015 | Holy Snails! What do all of these bubbles have in common? If you guessed hyaluronic acid, you're right! (Or did you read the giant capitalized word and cheat? Pish posh!) 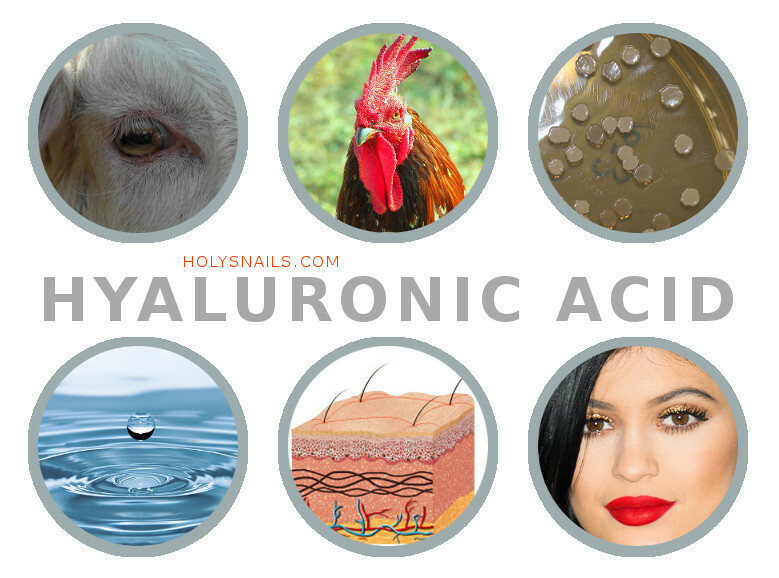 Hyaluronic acid was originally discovered in cow eyes, and used to be sourced from rooster combs (which made it quite expensive indeed). Scientists eventually enslaved bacteria to produce it, which is how it can be so much more affordable today (although it's still pretty pricey). It is not just a skincare ingredient though. Like collagen and ceramides, it's naturally found right in our skin. Actually, it's all over the place, hydrating cells and lubricating joints (which is why some people take them as supplements).